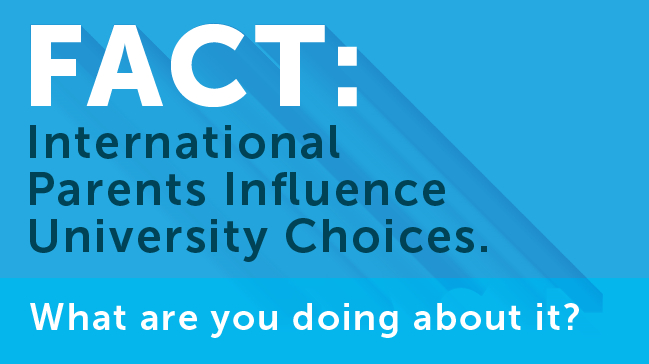 In many countries where you are currently recruiting, parents and families are an important part of the study abroad decision-making process. In some European and Asian countries, parents play an especially vital role in helping their children decide where to study - especially at the boarding high school and undergraduate levels. And they play a pretty influential role at the graduate level as well (though the students would have you believe otherwise). Though it may be a bit more challenging to reach parents with your marketing, this influencing audience is so important. Facebook, live chats and online forums are great places to engage parents and bring them into the decision-making process. Of course, China needs a different approach. China always needs a different approach! 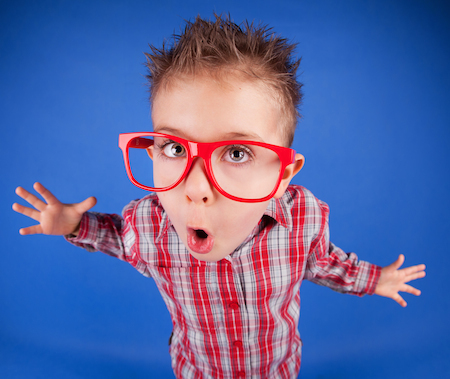 Bottom Line: We discuss segmentation a lot. By demographics, geographics, programs of interest. 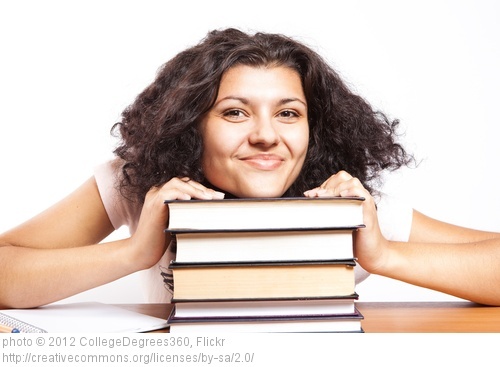 Academic marketers segment their student audience in many ways. 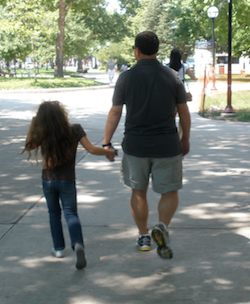 Parents are another segment of your overall recruiting plan that you should be considering. They need specific messaging about safety, quality of academic programs, job prospects (outcomes) and other factors when deciding to send their child abroad. And, Pro Tip 1: they like institutions that are close to large international airports with major metropolis shopping nearby. Pro Tip 2: local language (nuf said!). Finding online communities where parents are active is a great way to make sure your influential messaging gets to them. Meet us in D.C.! Intead is off again to AIEA in Washington, D.C., next week from February 20-22. We’ll be participating in a presentation on Tuesday, Feb. 21 at 5pm: Harnessing Language Schools as University Pathways. Niagra University and Salem State University will share their plans to take their language instruction programs to the next level and we will offer our perspective on how to align global marketing plans with language program recruiting efforts. We would love a chance to speak with you one-on-one! Let us know if you will be there. Although students are the ones who will ultimately attend a higher education program, the role of parents cannot be minimized. International parents seem to play an even greater role in school selection than American parents. Armed with this knowledge, the next logical question is: What do parents want to know? Are You Ready for Fall Recruitment Travel? Itinerary. Check. Tickets. Check. Hotel confirmations. Check. Passport. Check. Seems like you're all ready for your fall international student recruitment travel. But are you? What is your strategy for building and maintaining connections with the prospective students and parents you meet on the road? What's the point of traveling, the financial and time commitment, if you aren't going to effectively leverage your contacts? 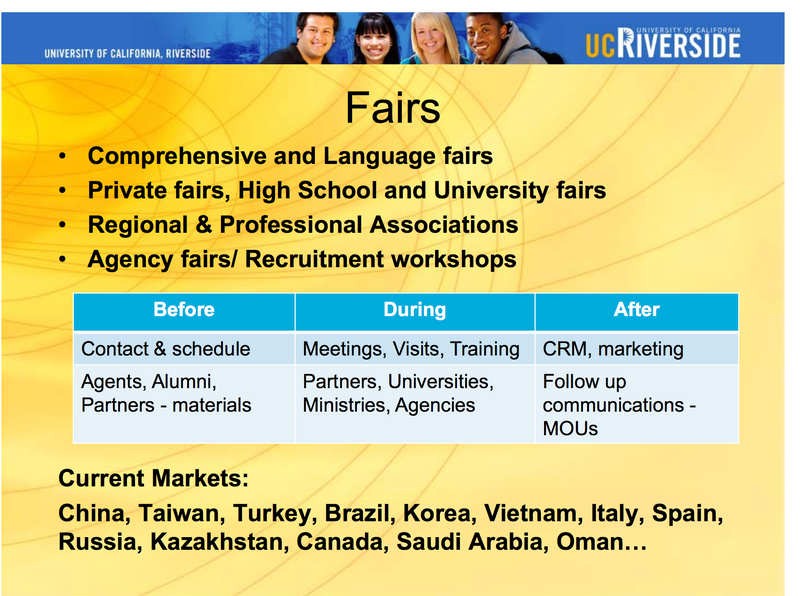 Will commission-based recruiters find more international students? The definite answer is maybe. Commission-based student recruiters are not a panacea. 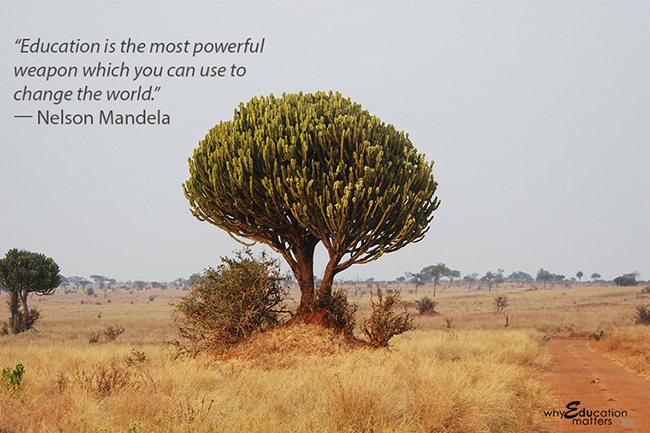 They require support, monitoring and consistent attention to deliver results. Every month the 2nd and 4th Thursdays will be devoted to highlighting our library of podcasts. We believe stongly that information can be conveyed in a number of ways. We hope that you will continue to read our blog and also take advantage of the opportunity to listen to our podcasts at your desk, the gym or during your commute. Through 20-30 minute podcasts we hope to introduce our readers/listeners to a variety of compelling topics related to international higher education. We hope you enjoy our podcasts and, as always, we welcome your feedback. Pearson recently released a global report on education comparing major factors in education, such as expenditure per student, GDP, graduation rates, etc. One of the top countries in Pearson’s list is South Korea. 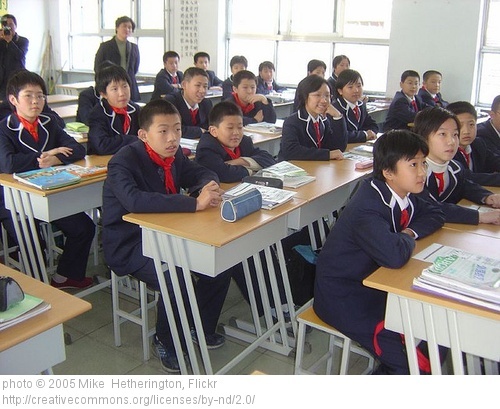 According to the report, there are some interesting differences between Korean education and American education. 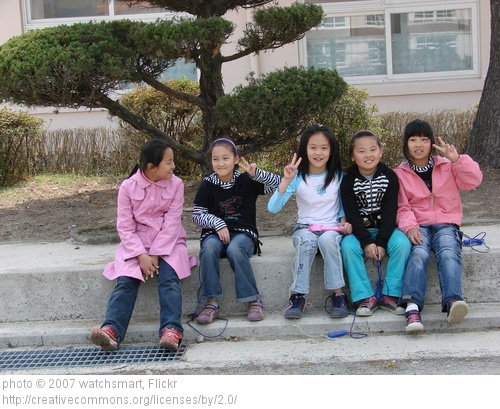 Understanding the Korean system can help in international student recruitment. Do you know the travel books from Lonely Planet? If you do, you probably love them as much as I do. If not, you should get to know them if you travel anywhere in the U.S. or in the world. They are great guides for your travels. 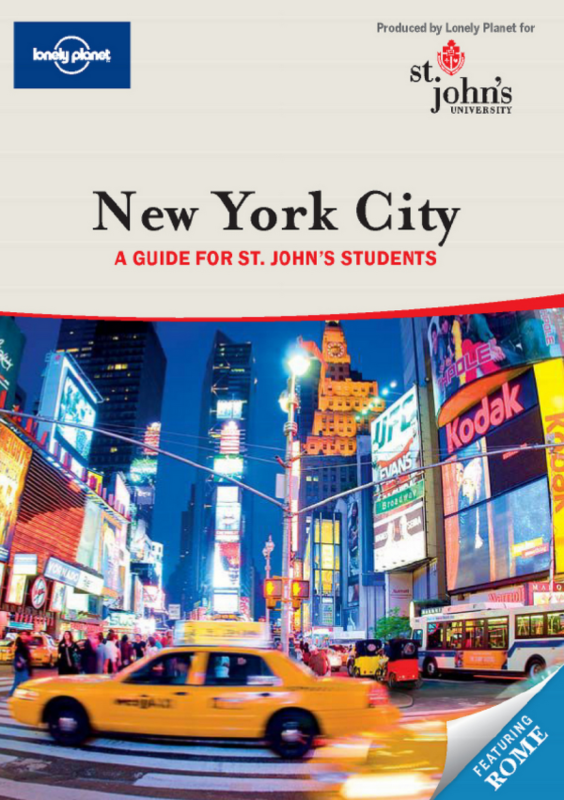 What does that have to do with St. John's University in New York? 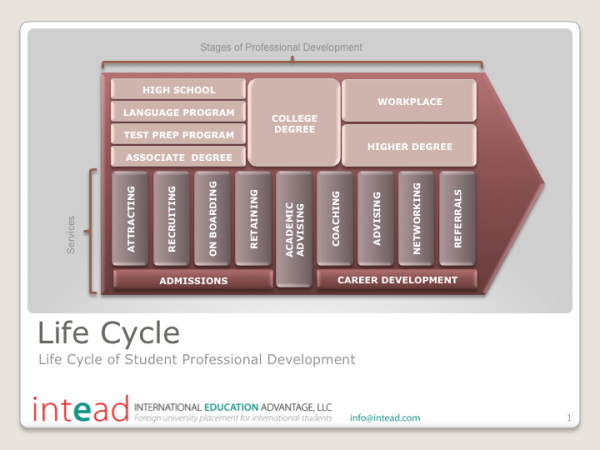 Beyond student enrollment - what's the PPP? For all those students of economics, yes PPP can stand for purchasing power parity, but I would like to use PPP as President and Parent Perspective. Why do I want to talk about that perspective?